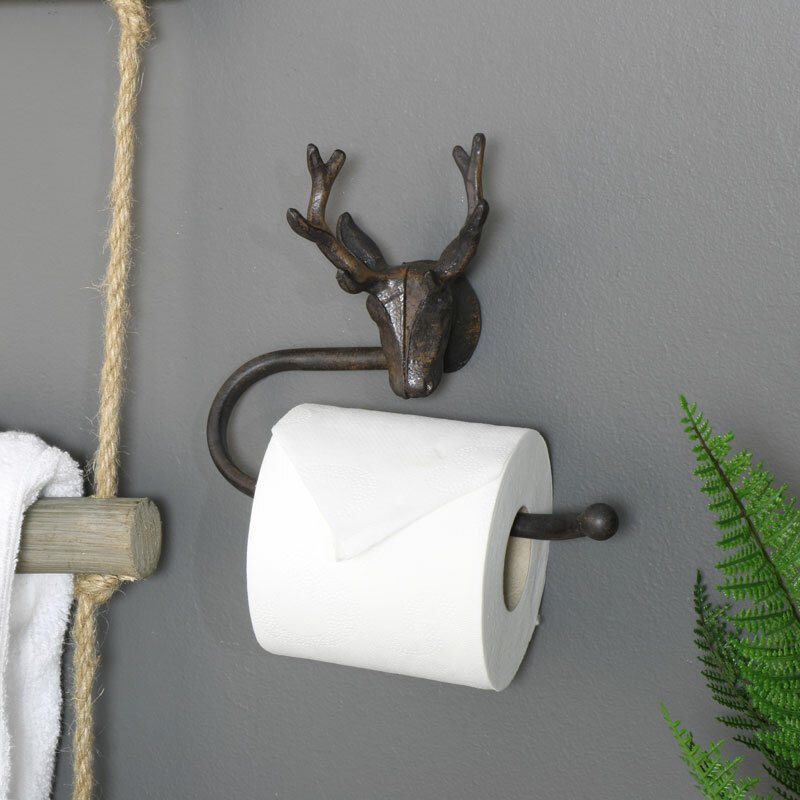 Accessorise your bathroom and toilet room in style with this stag head toilet tissue roll holder. Great wall mounted design that will safely hold your toilet roll ready for use. Stag head detailing adds a rustic, country look. We have a great choice in toilet roll holders for you to choose from in a range of de3signs and colours. 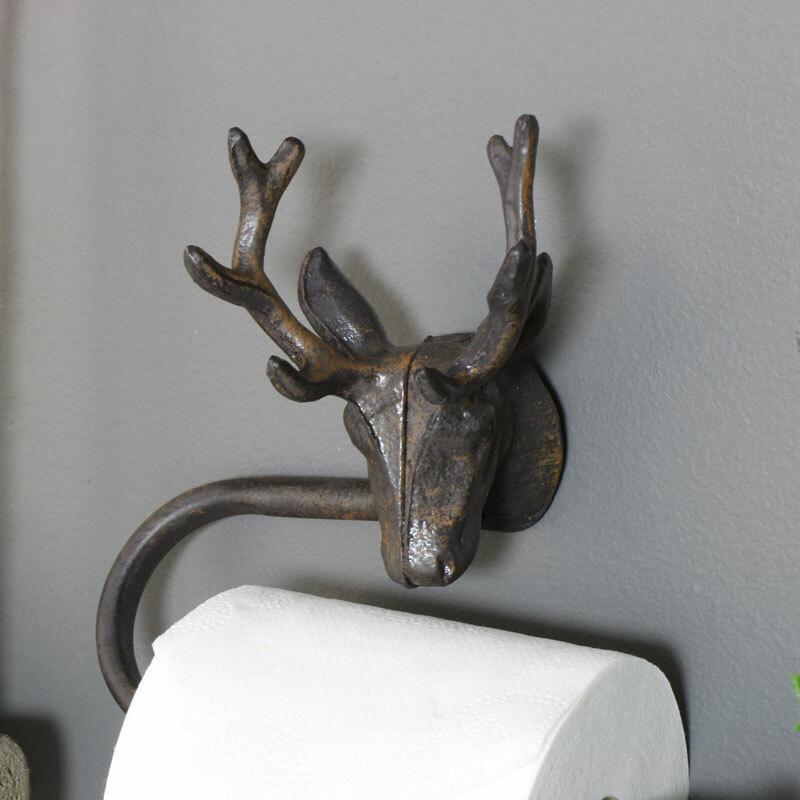 Accessorise your bathroom and toilet room in style with this stag head toilet tissue roll holder. Great wall mounted design that will safely hold your toilet roll ready for use. 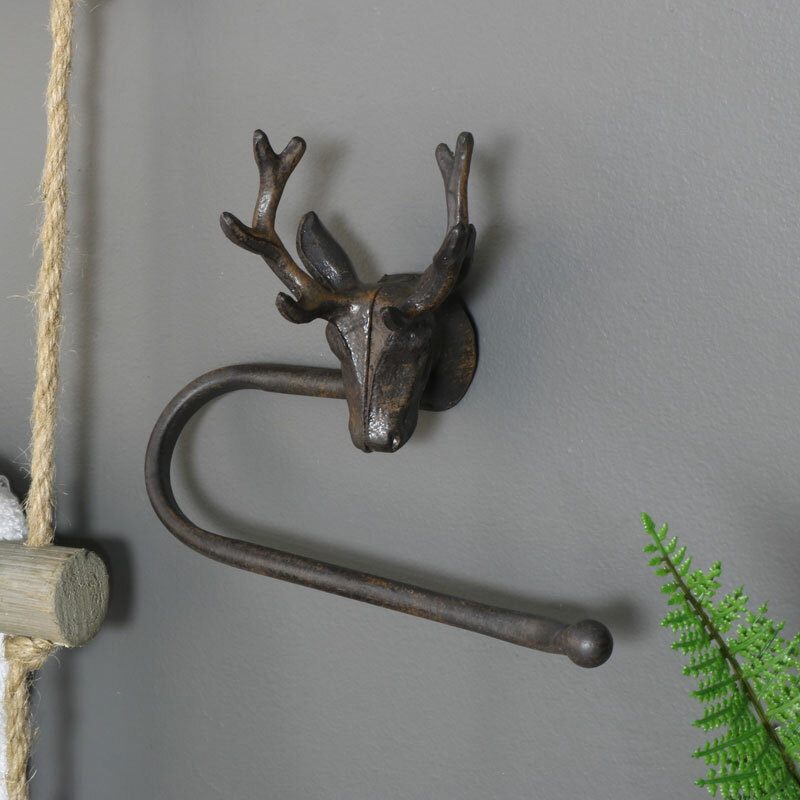 Stag head detailing adds a rustic, country look. We have a great choice in toilet roll holders for you to choose from in a range of de3signs and colours. Made from metal and finished in a rustic brown colour to give the appearance of age. A great addition to our range of gifts and home accessories, make your home perfect.